12:00 EST, you would have a time assigned, rather than wait for a queue to drain. I got 1:14 EST. 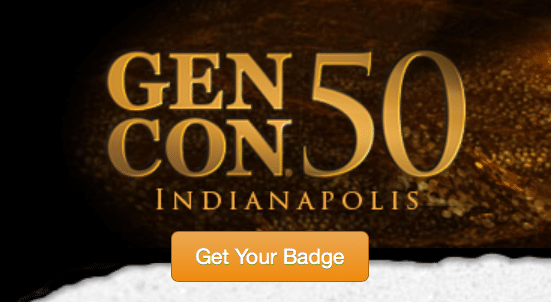 For those new to Gencon, getting a room downtown is critical to a smooth convention. Some will disagree, but I find the idea of rental cars, taxis/Uber and no place to crash for an hour near the ICC to be a major issue. Many agree with me and demand for the downtown rooms is fierce. I did some analytics in previous years and worked out that downtown disappeared in about 90 minutes after the system went online under the old system. This year, under the new system, downtown sold out in around 90 minutes. My favorite hotel is the JW Marriot and it was gone by 1:14, last year I got a room at the 90 minute mark. This suggests higher demand/attendance, likely for the 50th anniversary. I wound up with a room at the Conrad. The net result is nothing really changed, except the load and delays on the web servers (at least for me) disappeared. Better from an experience standpoint, but did not really solve the room scarcity issue. So, unless you are a VIG ( they are in a separate hotel block and nearly always get a room downtown), you are going to be hunting rooms between now and the convention to see if someone drops a downtown room (it happens). I can offer no advice except keep checking the hotel site and lurk on Twitter, Reddit and the Gencon forums for people looking to get rid of their room. I have heard Airbnb is an option, but have no first hand experience with it at Gencon. Whining about the (admittedly brutal) system will not get you a downtown room, persistence will.